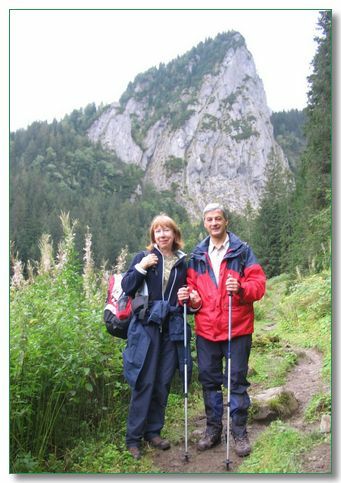 In September 2007 Ann & I had a walking holiday in the Tatra mountain range with Ann's sister, Karen. Karen knows Slovakia well - owning a flat in the capital, Bratislava and acted as our very knowledgeable guide. 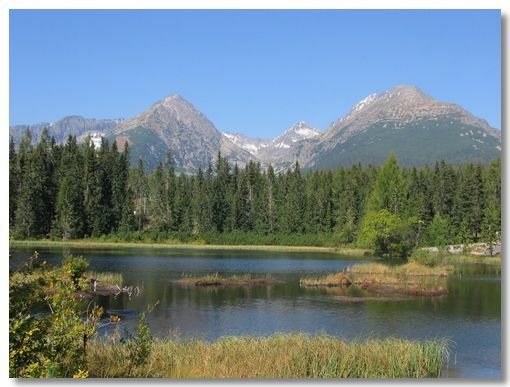 The Tatras are basically the Eastern end of the Alps range. 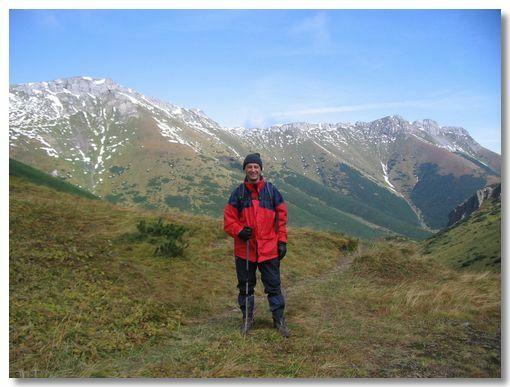 So no wonder that many of views could be mistaken for the Austrian Alps. The skiing here is apparently very comparable to that in France or Austria - with the one big difference - its a lot cheaper! 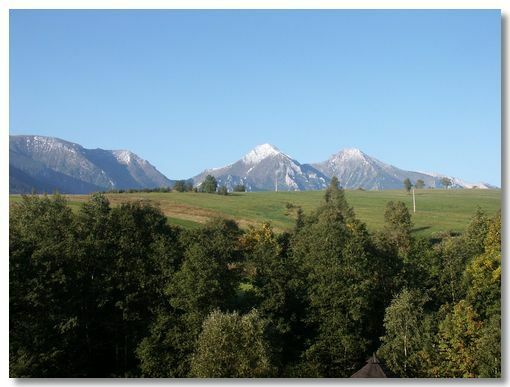 The first view is from our bedroom window in a charming Pension we stayed in at Zdiar. 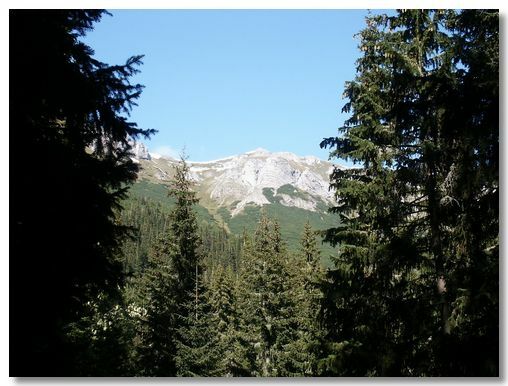 The second photo is one of many on our walks in the "High" Tatras - just so many spectacular views. On a few of the days the weather was rather poor. Ann took this photo after a shower, looking down at the rainbow! The views were great, but the biting wind didn't encourage us to hang about for too long admiring them. Technical Note:- IMHO there seems to be little correlation between the spelling & the pronunciation of Slovakian words. Karen assures me that I have the spelling correct in all the place names, including this mountain - just don't run them by your (English) spell-checker! 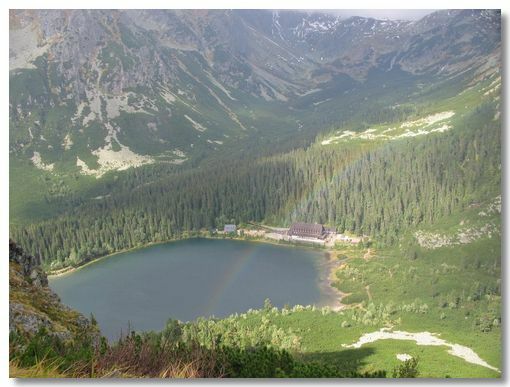 Another idyllic view taken outside our Pension at Strbske Pleso. 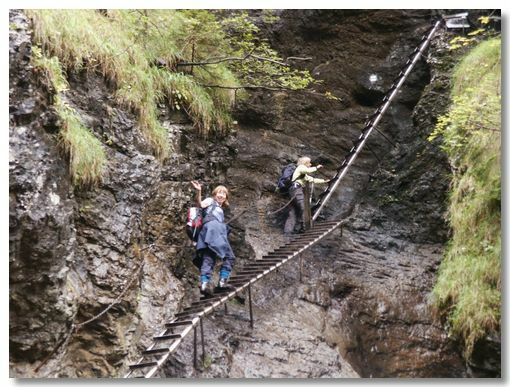 Some of the climbs in this area are so steep, that ladders are the only sensible way through. 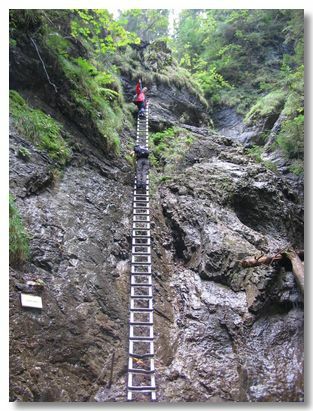 Not for the feint-hearted - some of the ladders were very steep & high. That's me waving at the top. We don't have anything like this in the UK - Health & Safety would throw a fit. 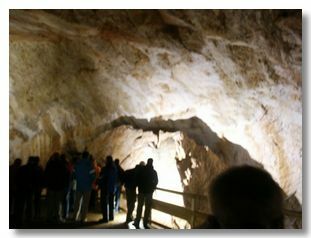 On one of the days it was raining too much to consider a walk - so Karen took us to these "famous" Ice Caves. Frankly, if you find yourself in the same predicament - don't bother. They were an expensive disappointment. A post-communist attempt at a Western tourist trap.